Described as a fanatic Newcastle United fan, Emily tragically passed away just before recieveing her GCSE results. 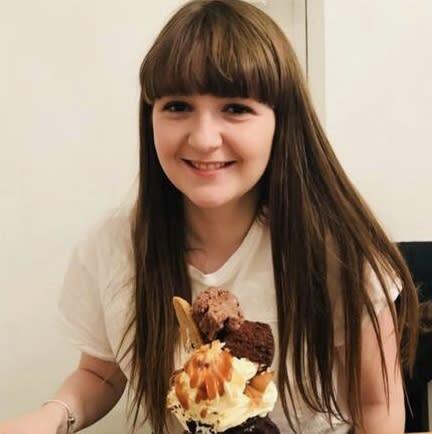 The parents of Morpeth teenager Emily Pattison are thanking friends and family who were so generous at their daughter’s funeral to raise £2,400 for Scott House, free ‘Home from Home’ accommodation which kept them by Emily’s hospital bedside. “We were out walking with our dogs on 7th August when Emily collapsed, and even though she felt fine afterwards I was concerned so took her to hospital. 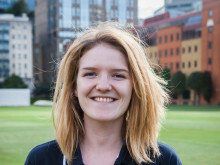 That first night in hospital, Emily was her usual self, giggling away, eating and drinking – she had been perfectly healthy. She just wanted to pop her pyjamas on and go home – she didn’t feel ill. But a few hours later she became acutely unwell which is why the doctors decided to transfer her to Freeman Hospital in Newcastle. “When we arrived at Freeman Hospital, we were offered a place to stay at Scott House. Initially, we said we’d be fine as we didn’t want to take this space away from another family with a seriously ill child. But sadly, Emily’s condition deteriorated further and we were warned her life was in danger. “We felt incredibly supported by Scott House, not just by keeping us close to our daughter but by the staff and other families who also had critically ill children on the ward. In our darkest days, there were lighter moments when we could speak about Emily with our family and friends, laugh and cry with them because we had Scott House. Within hospitals, there’s not the space to do that which makes a place like Scott House vital in helping you get you through such a horrendous time. It became a focus for us and our family, a place we could gather and be together. “We decided to ask for donations at Emily’s funeral for Scott House because of this, and everyone has been so generous. When your child unexpectedly falls ill, you may arrive at the hospital with nothing but what you’re wearing at the time. Being welcomed into a place which has the basics – a hot shower, a place to brush your teeth and somewhere to sleep and cook some proper food takes some of the pressure away as you don’t know when you’ll get another chance to do any of that. With everyone’s generous donations, we know that more families will benefit from Scott House. “Everyone at Scott House would like to say a huge thank you to Emily’s family for thinking of us at this incredibly sad time. It’s so important to us to have been able to support Lorna, Kevin and Emily’s brothers Jamie and Dan while Emily was at Freeman Hospital and offer them comfort and solace and enable them to be with Emily as much as possible.